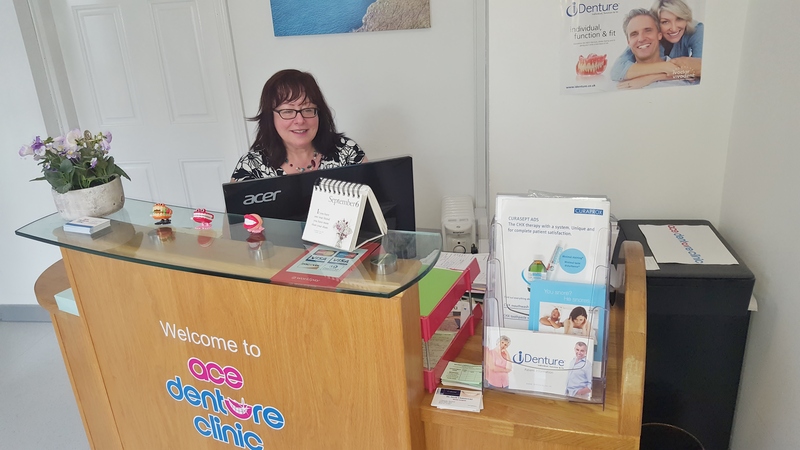 At ACE DENTURE CLINIC located at 17 Manor Street, Waterford we are committed to taking care of you and all your denture needs. Our modern ground floor clinic and in house denture laboratory is wheelchair accessible. Our goal is to create new natural looking dentures for you, we provide comfortable dentures which allow you eat, talk and smile with confidence. Private Dentures: B.P.S Ivobase Injection Moulded. I Denture : suction effective mandibular complete denture. Acrylic Dentures, Cobalt Chrome Mental Dentures. Titanium Metal Dentures, Implanted Retained Dentures. Complete/Partial Dentures, Medical Card Dentures, Repairs/Relines/additions, Anti-Snoring device, Emergency Treatment, Nightguard, Gumshields and Essix Retainers. Having new dentures fitted has never been so easy. You will deal directly with the person who makes your denture, so the value of this knowledge, experience and information is added directly to give you a top quality denture. Visits are limited to only the amount you need so it is convenient as well. We specialise in custom made dentures and denture repair in Waterford. By coming to us you will deal directly with the Clinical Dental Technician (CDT) who measures and makes your denture. Our knowledge and experience are key ingredients for making your new confident smile.